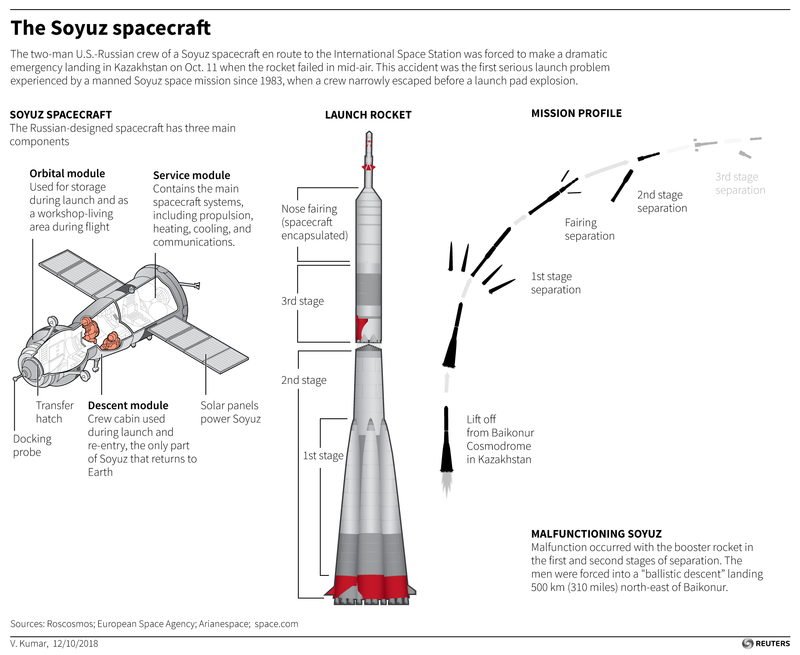 Russia is now under pressure to prove its space programme is safe and received a boost on Friday when NASA administrator Jim Bridenstine said he had full confidence in Russian-made Soyuz rockets and expected U.S. astronauts to fly on them again. NASA has relied on Russian rockets to ferry astronauts to the space station since the United States retired its Space Shuttle programme in 2011. The agency is waiting for the tests early next year of two commercial rockets, by SpaceX and Boeing.